It’s week three of the Summer 2017 Online Writing Group and you guys are getting it done. Nice work! Here are our third week goals. Anne’s newly organized writing space! Are you asking: is that a active writing stool? Yes. Is that a giant 4G screen with the correct software installed although right now it shows a picture of a boat? Yes. Are those shelves full of writing books? Yes, and some family pictures. I think it’s perfect. The writing notebook is the next project, for when I can’t be in my writing space. This week, I got three chapters from the new textbook revised! Hooray! Also, I began researching agents and turned up two prospects. Sadly, I need to spend some time rethinking my query letter, which I will be doing this week in addition to researching more agents. And doing at least two more chapter notes and lectures. Collect research sources to supplement evaluation plan abstract for Library Research Methods course. Begin to collect resources for Law Librarianship annotated bibliography. I started a new story last week, so this week my goal is to keep working on it. I also need to write a couple more blog posts documenting my trip to the Netherlands, so I’m adding that in for this week as well. Next week: I hope to catch up and write five pages. Week Two Progress: Wrote about three more new pages of the book (against my goal of ten). I’m realizing my goals need to be a little more granular than “write x more pages.” I’m not having issues with what to write necessarily — since I’m working from a true story, I have the built-in crutch (if I’m not sure what to write next) to just tell what really happened. What has slowed me down so far is the impulse to focus on the individual scenes I’ve started and making sure they’re compelling. This week, I realized that the narrator’s voice wasn’t quite working. I switched what I’d written from third-person to first, and I realized quickly how easy it is to make a young Lithuanian woman in the 1930’s sound robotic, since the easy impulse is to take out all contractions and idiom from their language. I went back to a few books I love that have interesting narrative voices, whether it’s a non-English speaker or a contemporary of my narrator to make sure I absorbed what they did well. So Long See You Tomorrow by William Maxwell is going to be my constant companion throughout the next few weeks of drafting this out. Week Three Goals: Complete drafts of two early scenes — one of which I’ve started, and one of which I have yet to start. Also, review some of the research materials I have on the story (a conversation I recorded with my dad a few months ago talking about his mother) as well as an online repository of info about the kind of Swedish ocean liner that brought my grandmother here (since the middle portion of the book will be on-board the ship). Last week, I was supposed to learn more about the landscape of what’s already out there for my book idea. As I suspected, there are already some books out there around the topic that I’m thinking of, but none from the perspective of someone with my background. So this week I’ll start outlining the book chapters. I am also considering revising my big summer goal, but I think I need a week to think about it, so that will also be on my docket for this week. This week’s goal was 7,000 words. I wrote 6,815, so that’s good enough. My current total is 35,700 words. Next week the goal is another 7,000 words. This week’s post is inspired by John Gardner’s book The Art of Fiction: Notes on Craft for Young Writers. In this book, Gardner argues that while “there are techniques — hundreds of them — that, like carpenter’s tricks, can be studied and taught” (8) there are no real rules of literary (non-genre) fiction. Writers must trust that they can tell the good from the bad, and this knowledge will come from two things: 1. practice; and 2. reading a lot. Like, a lot. I have no doubt that everyone in this group is a good reader. We’re here, aren’t we? We’re here because we love to write and we love to read. But Gardner also talks about the benefits of a higher education for a writer, because it is in a college or university setting where a writer can encounter a literature course in which the professor leads the students through a close reading of Macbeth, looking at each line, each word, and analyzing how and why Shakespeare made the choices he did, why he didn’t include stage direction, why he made the loss of the Macbeth’s child so subtle when making it clearer could have increased sympathy for Lady Macb. You don’t get that when you’re just reading it yourself. And why didn’t she just use this soap? I mean, it says there right on the label that it’s just what she needed. Along with a great reading experience like that, though, might also come something else that Gardner argues is essential to a writer, and that’s the ability “fully understand the other side of one’s argument” (10). Because that same Shakespeare professor, or (more likely) another student in the class might argue that the three witches Macbeth encounters are really time traveling robots. Sure, okay. Let’s get into it. It’s much more likely that in higher education, however, that you won’t engage in too many arguments about Shakespearean robots (though if you do, please, please give me a call and invite me to the conversation). But you will engage in robust debate about the contemporary relevance of the philosophical questions set forth in The Handmaid’s Tale; about the effectiveness of using multiple first person narrators in Marlon James’s A Brief History of Seven Killings; about whether it is better to use simple syntax (Salinger) or complex syntax (Woolf) for a slowly paced story; whether it’s a grotesque violation of the audience’s trust or a brilliant violation of genre when a writer does not reveal who the killer was at the end of a literary mystery novel (if you want to know who this writer is, let me know; otherwise, no spoilers). And it is by examining and arguing about these things that will help you understand how other great writers write and how you, as a young writer, can mimic the greats — how you can set forth a philosophical question in a way that will transcend history; how you can frame a story within a story as a way of developing the character of the storyteller; how you can violate genres and expectations. But because it may not be realistic for all of us to immediately enroll in a college level literature class, your homework this week is to read something and then discuss it with someone else. I have two text options for you (though of course you can choose your own): one creative and one academic. The creative text is a short story called “The Swim Team” from Miranda July’s 2007 collection No One Belongs Here More Than You. What is the story about? Why do you think that? Why doesn’t July use quotation marks for dialogue? Are there other writers you’re familiar with who use this style? Do you like it or not? Why? How does July tell the story? Does she use traditional first-person narration? Does she embed stories within stories? Why does she do the things she does? Do you like it or not? Why? 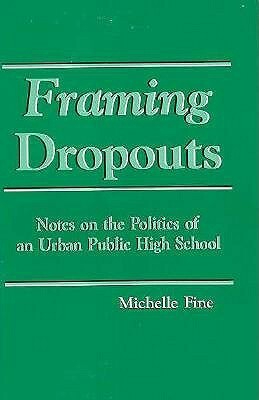 The academic text is a chapter from Michelle Fine’s 1991 book Framing Dropouts: Notes on the Politics of an Urban High School. 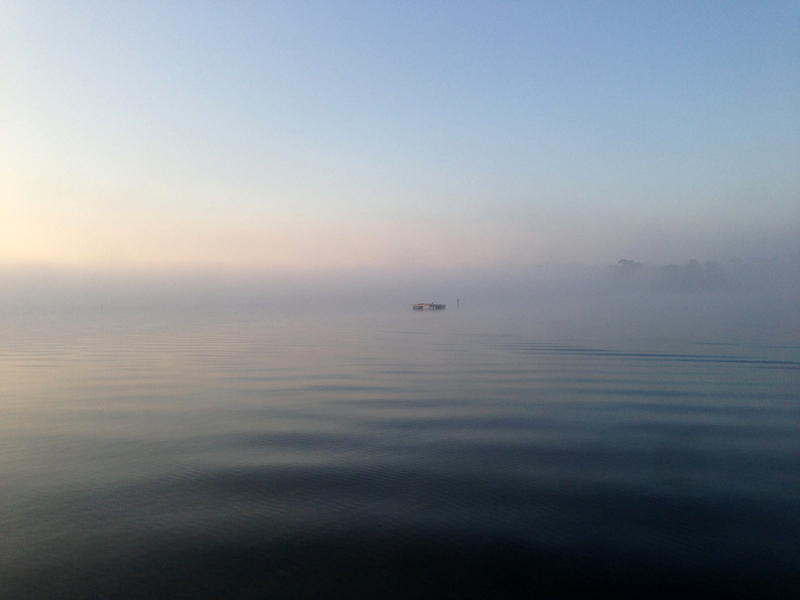 How does Fine incorporate creative writing into her work? Is it only in the passages she includes as references, or is it her style as well? Does she reference creative texts differently than she references scholarly texts? What kind of relationship does Fine seem to have with the subjects of her study? What about her writing makes you feel that way? What kind of relationship does Fine want to have with her audience? What about her writing makes you feel that way? Anyone who wants to chat about the text they’ve read can do so in the comments on this post — have at it! What do you think? Why do you say that? And is there anything you can take from these writers and mimic in your own work? Have a great writing and reading week! Gardner, John. The Art of Fiction: Notes on Craft for Young Writers. Vintage Books, 1985. This entry was posted in Writing and tagged Academic Writing, Am Writing, Creative Writing, John Gardner, Macbeth, Michelle Fine, Miranda July, Online Writing Group Summer 2017, Out Damn Spot, Reading, Short Stories, Summer Online Writing Group, Summer Writing Group, The Art of Fiction, Writing on June 21, 2017 by lauraborkpower.